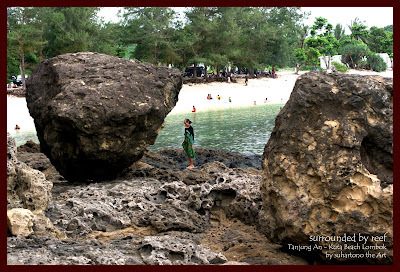 Hearing the word of your mind definitely Kuta Beach were on a beach located on the Bali Island. However, where will be our objective today is a south coast of Lombok Island, dealing with the Indonesia Ocean and are in Central Lombok West Nusa Tenggara Province, Indonesia. Kuta Beach Lombok is much more exotic compared with Bali's Kuta Beach when viewed from the aspect of natural panorama. The beach is a stretch of soft white sand and white sand that pepper the size of hills interspersed by rocks. However, the natural beauty of this new support was developed so that when viewed from the aspect of the facilities is still far less to the beach of Kuta Bali. 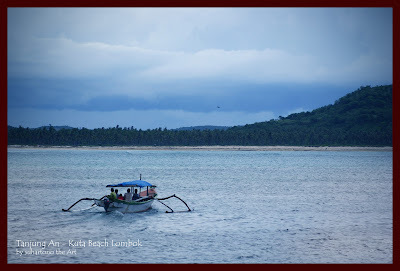 Lombok Kuta beach located on the southern coast of Central Lombok district. The distance from the town of Mataram (West Nusa Tenggara provincial capital and the current location of the airport) about 70 km, and can be reached by vehicle drive about 2 hours away by paved road condition is 90% good and smooth. About 10% length of the road is under implementation widening of roads (road width of 10 m) which expected to be completing by the end of January 2011. If the international airport of Lombok (BIL = Bandara Internasional Lombok) has been operated, then the international airport mileage with Kuta Beach can be reached only 30-45 minutes. BIL according to the outstanding issues will be ready for operation at the beginning of the year 2012 which has now completed passenger terminal area, goods, aircraft apron, run away and other supporting facilities and have been tested for landing of Boeing aircraft types. Lack of development may stay aviate facilities and access roads BIL - Mataram is only about 30% completed by the end of 2010. 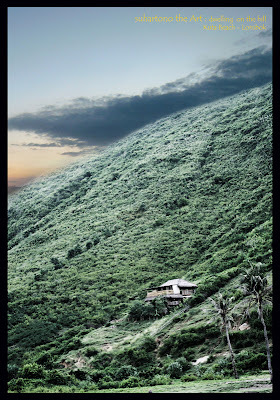 Lodging facilities for tourists that there is currently enough room for more than 400 rooms, consisting of cottages, jasmine-class hotels and star hotels. In general, the hotel and cottage accommodation facilities of this region is jasmine-class rates to the end of 2010 was Rp. 150,000 - Rp. 400,000 depending on the type of room and amenities. While rates for star hotels, namely the Novotel hotel, 4 star quality with facilities 110 rooms, bar and restaurant, meeting room, swimming pool, wifi hotspots, etc.., cost around Rp. 650,000 - 1,200,000 on non-peak time. Transportation from airport to hotel can now use the airport taxi or taxis that were around the airport, public transport, travel, or rent a car are widely available in the city of Mataram. Please note, if using public transport is relatively complicated because it is not a direct public transport to the beach. So have to transit in several places, namely from the airport to the terminal Mandalika, use a small bus with the destination city of Praya, from the town of Praya search again microbus heading to Kuta or hire motorcycle taxis. For transportation in the area of Kuta beach, for example, want to go to the Mawon Beach o surf or to Tanjung An (Tanjung Aan) to parasurfing can hire a lot of motorcycle for rent in this area or take a Cidomo (a horse drawn buggy). In this area has been supported by the presence of food stalls, restaurants and cafes are open 24 hours, in addition to the food menu is provided respective hotel / inn. Provided cuisine ranging from typical menu Sasak people (ethnic groups in the island of Lombok) to European-style dishes such as steak, BBQ, etc. Rates per serving non-restaurant dining - cafes - the hotel is quite cheap around Rp. 15,000 - Rp. 20,000. Kuta Beach and Tanjung An (Tanjung Aan) beach is fine white sand beaches and and the grain of pepper, with average waves of calm that is safe for swimming events at sea, diving and parasurfing. 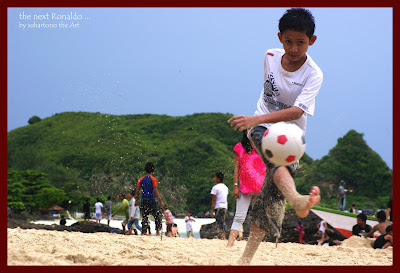 You can perform various activities on the beach such as sunbathing, jogging, walking, or can be beach soccer. 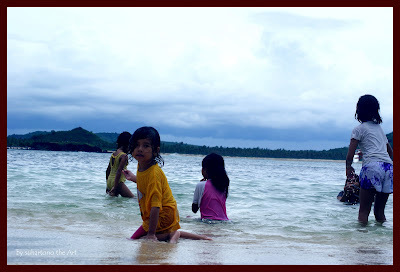 Stretches of sand on this beach are relatively wide about 20 m - 50 m from the sea water line. Meanwhile, if you want to surf then you can visit the beach that has waves of Mawon big enough. The distance between the beaches of Kuta and Mawon only about 5 Km. Kuta Beach or on the Mawon Beach has been support with a surfboard rental place to give ease of tourists if you want to surf. Diving can be doing on the beach in the area of the hotel Novotel by paying admission. The beauty of the underwater at this location is relatively natural. Lombok Kuta Beach is a beach that has incredible beauty, white sandy beaches dotted with blue water to green gradation in because of the underwater habitat is still preserved its continuity of them like blue coral and red coral can we meet in this place. Waves the rather large also makes this place as one of the surfing paradise for lovers of both the local and foreign surfers. One of the unique Kuta Beach Lombok is unique white sand shaped like grains of pepper that is very difficult to be founding in other coastal tourist areas, grains of sand that makes most visitors feel at home to linger on the beach. The others unique sand on these beaches, there are also a row of towering hills of medium size, rows of hills that create an elegant blend of colors between the blue water and white sand beaches. With all the potential of beautiful panoramas and natural to their area of Kuta Beach Lombok will really spoil the tourists who have a hobby of photography, the professional or amateur photographer. To give an idea about the area of Kuta Beach Lombok we will publish some pictures of the event to welcome the new year of 2011 that we celebrate with family and friends offices in two locations namely Kuta Beach and Tanjung An beach (Tanjung Aan). For Mawon Beach, because the weather condition at that time is not good (quite heavy rain) we did not visit and we will take a photo of colleagues / other sites. We hope to provide insights into the tourist area of Kuta Beach, Lombok and you do not hesitate to visit in the area of Kuta Beach Lombok in particular and in other tourist areas in Indonesia.